With summer finally here, homeowners look to get out and enjoy their gardens and outdoor spaces. However, many of us are missing an opportunity to maximise the space in our gardens by filling our sheds with unwanted household junk and clutter. The latest survey from on-demand rubbish removal and recycling company Clearabee reveals that surprisingly, only a measly 33 per cent of people know exactly what they have stored in their garden shed. Take everything out of your shed and decide whether you want to keep, sell or bin each item. Put everything you want to keep, safely to one side. List items for sale on online auction sites, or attend a carboot sale. Now it is time to sort the rubbish. You can quickly and easily remove the clutter from your shed using Clearabee – a quick few clicks on their website will allow you to book a rubbish removal appointment. There are handy ‘Beebags’ which are posted out to you to fill up at your leisure and when you are ready, you book a collection and Clearabee sends its fully trained staff out to collect your rubbish and recycle the contents. Consider if it will be a space used for work, hobbies such as DIY, gardening or more of a chill-out area for reading or entertaining children. If it is the latter then it will need to be a space, which is versatile and has lots of storage. Take time to consider the style of decking, the type of textiles you choose for inside the shed and the overall lighting. There are several great “click-together” outdoor flooring options on the market, which don’t require a builder or a larger wallet. It is also possible to get water-resistant rugs for under £20, flat or woven in style, which are easy to clean. If there is no electricity access, solar powered options could be used in the evenings or battery operated lights. Search for unique finds. Reuse and update. Decorating a shed isn’t about spending lots of money. It is about making the space welcoming and cosy. Even if you uncluttered your shed you might still need some space to house some general items you don’t want to keep in your house. Choose a mixture of shed storage options to suit you needs and get everything up off the floor, or neatly housed in protective boxes. 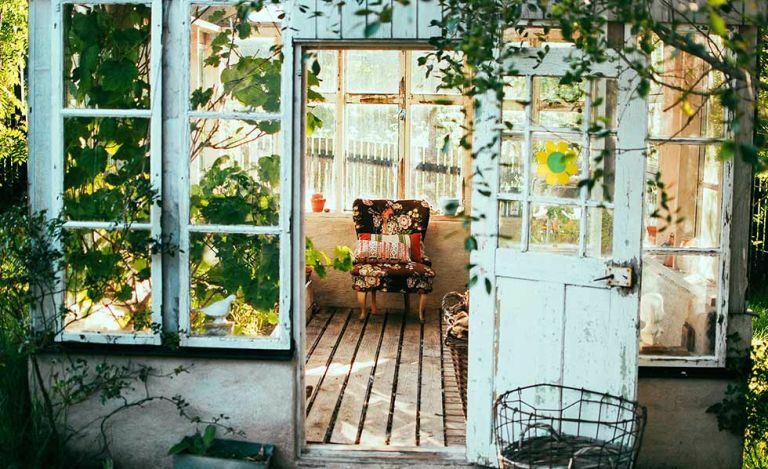 To celebrate the summer and encourage those with cluttered garden sheds to undertake a much-needed clear out, Clearabee has launched a nationwide competition to transform the UK’s messiest shed in a dreamy outdoor space. The lucky winner will enjoy a professional interior design consultation and makeover on their garden shed by Dasha from Krikla.com as well as a removal service from Clearabee worth up to £1200 in total. Clearabee is the UK”s largest on-demand rubbish removal service operating nationwide and offers a fast and straightforward solution to disposing of rubbish safely and sustainably. *Consumer research conducted by Opinium, with a nationally representative sample of 2,014 British adults (18+) surveyed in March 2018.